Flavor of good mashed potatoes should never be compromised, even when you are in a hurry. That's why The Complete line already has the milk incorporated for your ease and convenience. 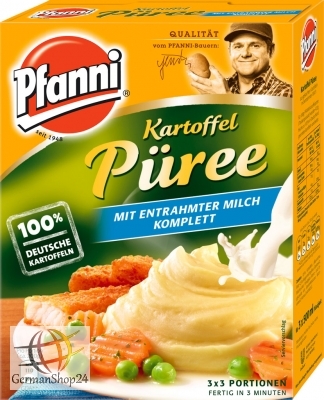 Potatoes, vegetable fat, 4.5% skimmed milk powder, salt, lactose, emulsifier mono and diglycerides of edible fatty acids, milk protein, flavoring (with milk), antioxidant ascorbyl palmitate. 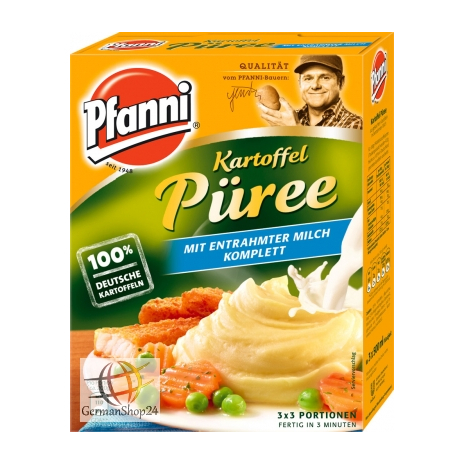 Kartoffeln, pflanzliches Fett, 4,5% Magermilchpulver, Speisesalz, Milchzucker, Emulgator Mono- und Diglyceride von Speisefettsäuren, Milcheiweiß, Aroma (mit Milch), Antioxidationsmittel Ascorbylpalmitat. Knorr Fix for Bolognese Typical Italian!